Diagnosing conditions affecting your throat and neck is a specialty of Dr. Kathy Yu-Syken. At OCEANN in Huntington Beach, California, thorough throat and neck services include diagnostics and treatment of everything from sore throats to early signs of head and neck cancers. 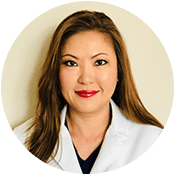 Dr. Yu-Syken offers cutting-edge techniques to pinpoint the cause of your condition and treat it effectively. Learn more about their accessible throat and neck services by calling Oceann ENT or using the online booking feature. When should I seek treatment for a sore throat? From time to time, you may experience a sore throat as part of the common cold or flu. However, a sore throat can also be a sign of something more serious. If you have persistent throat pain accompanied by fever, swollen tonsils, or white spots on the back of your throat, you may have strep throat, a highly contagious condition that should be treated with antibiotics. A sore throat may also be a sign of other conditions, such as tonsillitis or pharyngitis. Tonsillitis is an inflammation of your tonsils. Your tonsils are part of your immune system. They trap viruses and bacteria to prevent them from infecting your body. In addition to swelling in your tonsils, you may also experience swelling in your adenoids, the tissue located high in your throat. Tonsillitis is usually treated with antibiotics. If you have recurring episodes of tonsillitis, Dr. Yu-Syken may recommend surgery to remove your tonsils or adenoids, or both. What services are available for head and neck cancers? The chances of eliminating it and preventing further complications improve when cancer is detected early. What’s involved in cancer screenings? To detect hypopharyngeal cancer, a type of cancer that affects your pharynx, Dr. Yu-Syken may use imaging tests, including a CT scan, MRI, or chest X-ray. If she finds a malignant tissue, she may recommend surgery to remove it, and then follow-up with radiation or chemotherapy treatment. Laryngeal cancer involves malignant tissue in the larynx. Symptoms include persistent hoarseness and coughing, a lump in the neck, or a change in your voice. Treatment may include surgery, radiation, and chemotherapy. Schedule a consultation online or by phone to learn more about available services for neck and throat conditions.